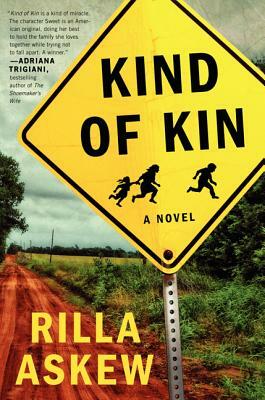 In Kind of Kin by award-winning author Rilla Askew, when a church-going, community-loved, family man is caught hiding a barn-full of illegal immigrant workers, he is arrested and sent to prison. This shocking development sends ripples through the town—dividing neighbors, causing riffs amongst his family, and spurring controversy across the state. Using new laws in Oklahoma and Alabama as inspiration, Kind of Kin is a story of self-serving lawmakers and complicated lawbreakers, Christian principle and political scapegoating. Rilla Askew’s funny and poignant novel explores what happens when upstanding people are pushed too far—and how an ad-hoc family, and ultimately, an entire town, will unite to protect its own. Rilla Askew received a 2009 Arts and Letters Award from the American Academy of Arts and Letters. She is the author of four novels, and has been nominated for the PEN/Faulkner Award and the Dublin IMPAC Prize, and is a three-time recipient of the Oklahoma Book Award. Kind of Kin is about how we are all connected and how we might transcend barriers of race and fear. Askew’s astonishing ending, which, like life, is messy and incomplete, and so filmic, you might find yourself casting the characters.